The Central Highlands is currently experiencing a high rate of Parvovirus outbreaks in dogs. Below is some important information for dog owners and some common Parvovirus myths and misconceptions. My dog has had one vaccination/ had a vaccination as a puppy, he should be right for the rest of his life. FALSE – Puppies require a course of vaccinations starting from 6-8 weeks old, followed by 2 monthly boosters. Vaccinations are then required on an annual basis after the initial puppy vaccinations to maintain immunity against Parvovirus. Only young dogs contract Parvovirus. FALSE – Any unvaccinated dog or dog that has not received vaccinations annually can contract the disease. However, it does affect puppies more frequently than older dogs. My dog doesn’t go around other dogs or to parks where dogs go so he can’t catch Parvo. FALSE – Although Parvovirus is spread via bodily secretions of infected dogs (eg. 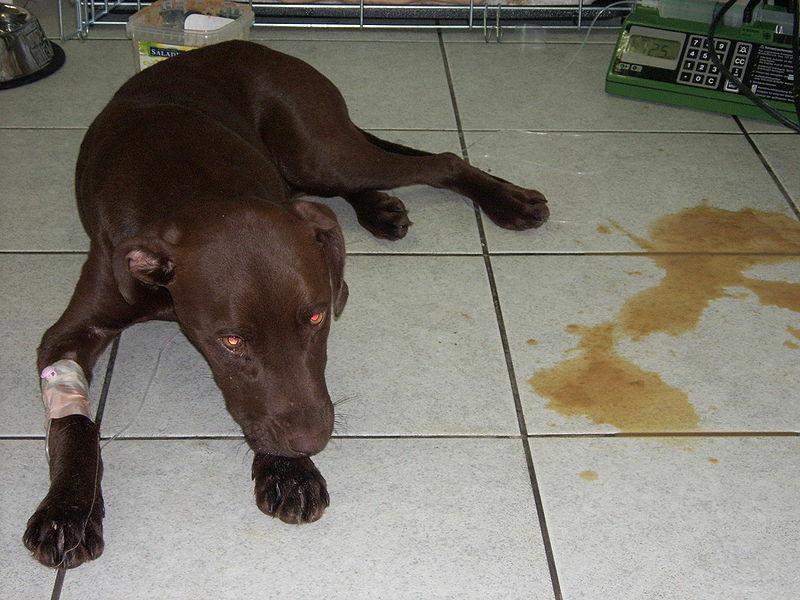 Saliva, urine, feces) the virus can stay in the soil for years after an infected dog has shed the virus in an area. As a result, people, cars, other animals can all transport the virus to many areas on their feet, shoes and wheels. My dog was exposed to a dog/ an area with Parvovirus and seems a bit sick, if I get him vaccinated now he will be fine. FALSE – Parvovirus attacks cells that are rapidly dividing; this includes the cells of the digestive system (hence the symptoms of diarrhea and vomiting) as well as those of the immune system. Therefore, if you vaccinate your dog after they have been infected, their immune system is not functioning properly and will not produce immune cells against the virus from the vaccine.